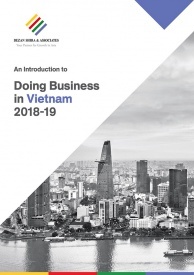 Industrial zones (IZs) and Export processing zones (EPZs) in Vietnam have played an important role in attracting foreign investments and the development of the local economy. Firms investing in these zones have enjoyed preferential governmental policies in terms of tax and land rent incentives. 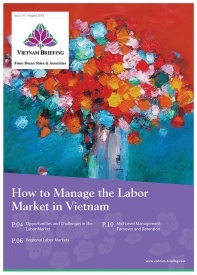 But now some IZs and EPZs are lagging behind in attracting investors due to intense competition amongst neighboring IZs, and hence have started to change their strategy, focusing on small and medium-sized enterprises (SMEs), which account for the majority of the firms in Vietnam. Traditionally, IZs were usually set up in areas with developed infrastructure and good connectivity to attract investors. However, almost all the IZs established in the last few years have similar characteristics, leading to an intense competition between them. As provincial authorities try to shift away from labor-intensive and low-cost industries to high-tech industries for a sustainable growth, IZs are also implementing new strategies to adapt to the changes. IZs and EPZs are focusing on prioritizing investments in the manufacturing and production industries with high technology to improve production value and competitiveness. As of now, less than 10 firms in IZs and EPZs have high-tech enterprises certificates. 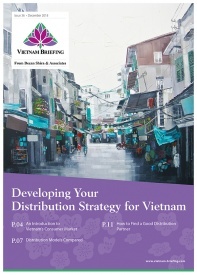 In addition, as some IZs and EPZs fail to attract investors due to intense competition amongst neighboring IZs, they have also started to shift away from the traditional model of focusing only on acquiring large ticket investors for rent, to building workshops for SMEs who have limited capital and are in need of facilities. For example, the Tan Thuan Export Processing Zone, with a seaport is losing investors to nearby IZs in Long An and Dong Nai provinces who offer more incentives and lower rent. To counter their incentives, Tan Thuan EPZ built three to eight-story workshops with an area of 1,000 m2. This strategy allowed them to accommodate a larger number of SMEs, much smaller than the large ticket investors, but more in number. The model has been successful for the EPZ and the occupancy rate has been increasing rapidly. In addition, the rent per hectare has increased as well, as more firms are being accommodated in the same area which was earlier allocated to only one firm. This strategy has also been implemented by other IZs, such as Hiep Phuoc IZ, who have focused on leasing land plots with the area of between 750 and 1,000 square meters, trying to lure small and medium enterprises and startups. This has led the IZ to attract 34 projects spread over an area of 20 hectares, involved in industries such as mechanical engineering, food processing, cosmetics, pharmacy, and electronics. As of 2017, there are two EPZs in Tan Thuan and Linh Trung and 325 IZs, with 220 already in operation with an average occupancy rate of 51.5 percent. 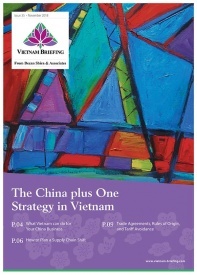 EPZs in Vietnam are not allowed to buy materials from Vietnam and all of their products must be exported. Until mid-2016, the 220 operational industrial zones and 16 economic zones have together attracted foreign investment amounting to some US$150 billion, accounting for about half of the total cumulative FDI inflows into the country. Investment in industrial parks (IP) and export processing zones (EPZ) rose more than 39 percent year-on-year in the first half of 2017 to US$ 384.3 million. The government is also opening three special economic zones in the Northern, Central and Southern key economic zones. Both, the central and provincial governments have prioritized investments in high-tech industries for a sustainable growth. However, the focus on SMEs is equally important for IZs and EPZs to sustain the intense competition amongst themselves. 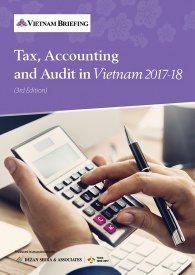 Small and medium-sized enterprises continue to play a major role in Vietnam, accounting for 98 percent of all enterprises, 40 percent of GDP, and 50 percent of employment. 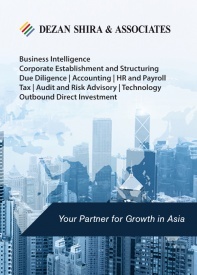 SMEs continue to face problems such as limited capital and competition with foreign firms. The recent change in strategy to attract investments will not only benefit the IZs and EPZs, but will also provide the SMEs much-needed access to facilities.